The Terrace Bay Swim Pool tentatively is scheduled to open for the season on June 24. The heated outdoor pool is 25m long, with a diving board and slide. Unaccompanied children ages 7 to 11 years that have PASSED the Terrace Bay Swim Pool Admission Swim Test are ALLOWED TO SWIM ALONE in the whole pool including deep end and slide area. 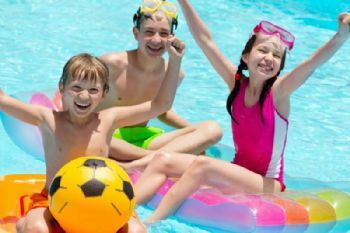 Unaccompanied children ages 7 to 11 years that have not met the requirements of the Terrace Bay Swim Pool Admission Swim Test, and meet the required height restriction, (4’2″) or taller are ONLY allowed in the SHALLOW ROPED AREA. They will not be allowed in the Deep End or Slide Area. If a Child 7-11 does not meet the required height and has not met the admissions swim test they will be required to be accompanied by an adult and will follow the “accompanied children” guidelines – no exceptions to this rule! Unaccompanied children aged 12+ who have not met the requirements of the Swim Pool Admissions Test are permitted into the pool unaccompanied and are expected to use their best judgment to stay within a safe range, and acquire a swimming aid when needed. 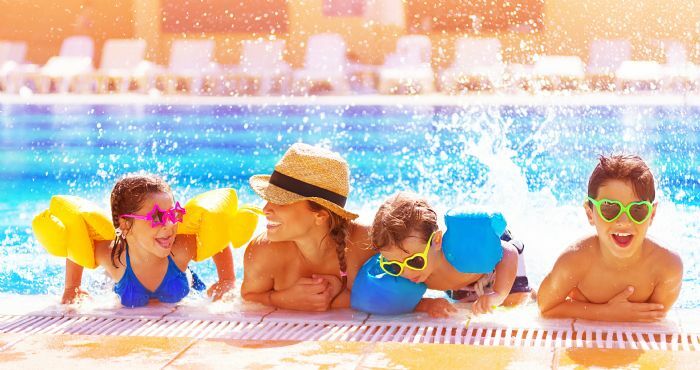 Accompanied children with a parent/guardian present in the pool that have not met the requirements can go in the slide and deep end area only with a parent/guardian, children must always be within arm’s reach, no more than three children per adult. Children 6 years and under are not allowed in the pool unsupervised under any circumstances. Parental/Guardian supervision in the pool is required at all times! Open to all Adults 18 years and over. Open to all families. Children must be accompanied by an individual who is 16 years and over. Open to all individuals 13 years and over. Only lengths will be permitted during this time. Open to all individuals 12 years and older. If you would like to book a pool party or other special event contact the Recreation Office to book your party or event for a rate of $79.00/hour plus hst. Rentals are available from 5:00pm to 6:00pm Monday to Sunday. All parties or events must book 2 weeks in advance. NO EXCEPTIONS! Parent & Tot 1,2,3 – parents & children up to 3 yrs of age. Parents spend quality time with their child while having fun learning and socializing with others. Through structured in-water interaction between parent and child, our Parent & Tot program stresses the importance of play in developing water-positive attitudes and skills. We provide Water Smart tips on keeping children safe in any aquatic environment. Preschool 1 to 5 – children 3 to 5 yrs. The Preschool program gives children a head start on learning to swim. Preschool levels develop an appreciation and healthy respect for the water before these kids get in too deep. In five preschool levels we work to ensure 3 to 5 year olds become comfortable in the water and have fun acquiring and developing a foundation of water skills. We incorporate Water Smart education in each level. Swimmer 1 to 6 – children 6 yrs & older (must be at Preschool 3 to advance to Swimmer 1). Our swimmer program makes sure children learn how to swim before they get in too deep. Swimmer progressions accommodate 6 to 12 year olds including absolute beginners as well as swimmers who want to build on the basics. We stress lots of in-water practice to develop solid swimming strokes and skills. We also incorporate Water Smart education in all levels. Rookie, Ranger & Star Patrol (Canadian Swim Patrol) – for children who have completed the swimmer 6 level, equivalent to levels 7 to 10 in Red Cross program. This program is a challenging progression of swimming and lifesaving skills for children ages 8 years and older. Bronze Star *New- Excellent preparation for success in Bronze Medallion. Participants develop problem solving and decision making skills individually and in partners. Candidates learn CPR and develop the lifesaving skills needed to be their own lifeguard. includes a timed 400m swim. Must have 3 participants registered for class to be held. Full Payment Must Be Received With Registration. Late Registration Will Be Charged A $10.00 Fee Per Person Provided Space Is Available In The Level Required. NO EXCEPTIONS!! Cancellation Policy: A $10 Cancellation Fee will apply unless participant is under doctor’s care or moving out of town. For the swimmer who likes a challenge and swims daily laps. 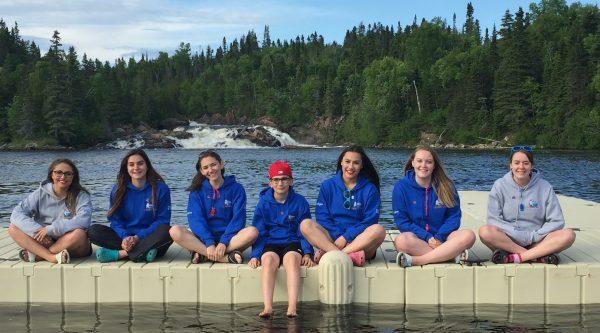 The Swim Pool Swim Challenges offer the swimmer two challenges: Swim the Slates and Swim to Thunder Bay. A personal record sheet is updated daily at the Swim Pool to keep track of each swimmers progress. A great way to keep fit and enjoy the pool at the same time! Aquabics is a water exercise program geared to help strengthen and tone your muscles! Swimming ability is not required. Adult Swim Lessons – Back Again this Year! If you would like to learn how to swim or help in improving your swimming skills, the instructors have set time aside during adult swim in the evening to help any adult who is interested. Register at the Recreation Office. The course is open to individuals ages 13 years and older or has completed the Bronze Star Course. 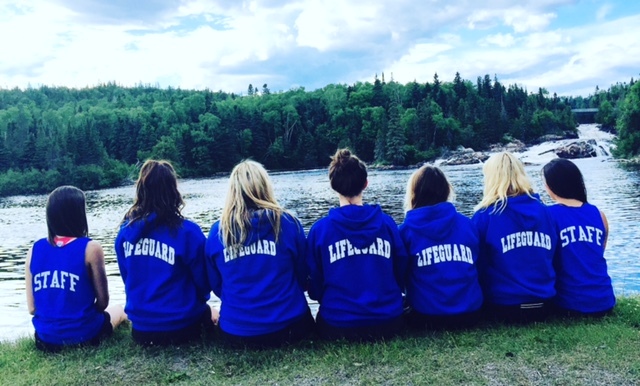 This is the first course required in the process of becoming a lifeguard/instructor. The course is open to individuals who have completed the Bronze Medallion Course and Emergency First Aid. This is the second course required in the process of becoming a lifeguard/instructor.